November 19 is the Great American Smokeout, and many people attempt to quit smoking between now and the first week of January. As with any major life change, preparation is essential, and quitting nicotine is no different. We have some ideas to help ease your transition to your smoke-free life. Your reasons for quitting must be big enough to help you through the rough patches. They must be important enough to you to stay quit for the rest of your life. Are you experiencing health issues, or is one of your family members having problems due to your smoking? Are you tired of being a slave to the addiction, spending the money on cigarettes, or feeling like an outcast because you smoke? Are you just plain sick of the whole thing? Write your reasons on a couple of sticky notes or index cards, and place them wherever you’ll see them at least twice a day. One word of advice: your reasons for quitting must be your reasons. You cannot quit because your kids want you to or your employer is going to charge more for your health insurance. When the going gets tough, you will use this reason to quit as your reason to go back to smoking. You’ll be angry that you were coerced to quit, and it won’t last. 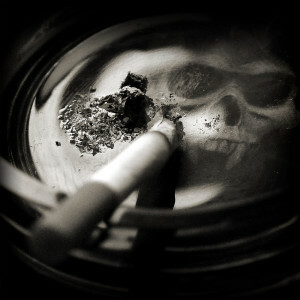 Smoking is as much a mental habit as it is an addiction to nicotine. If you take a little time to change your environment, quitting will be easier. Get rid of all smoking paraphernalia. If you see an ashtray or a lighter, you’ll want to smoke. If you need a lighter or matches for other purposes, ask a family member to hide them from you. Clean your car and your home thoroughly, including the carpets, curtains, and upholstery wherever possible. The odor of smoke triggers cravings. Determine how you wish to filter your water. When you quit, your body will be ridding itself of toxins, and you’ll want to drink plenty of water. If you don’t like the taste of plain water, try a few drops of lemon juice or fruit juice to flavor it. Gather distractions for your hands and your mouth, such as chewing gum, straws, cinnamon toothpicks (cinnamon is good for cravings), needlework, woodworking, and crossword puzzles. When you feel a craving, the faster you can divert your attention to something else, the faster the urge will pass. Prepare the people in your life. Your family, friends, and coworkers can be your greatest allies or your worst enemies when you quit. Those who smoke might be resentful or jealous that you’ve decided to quit, while those who don’t smoke will likely be supportive. Be careful. Those who still smoke after you quit may try to tempt you back into smoking. Unfortunately, you may need to keep your distance for the first several weeks or until you feel strongly that you’re finished forever. Finally, prepare yourself physically and mentally. What do you need to be ready to quit? Make a list of the times you know you’ll be tempted to smoke, such as when you get in your car or right after you wake up in the morning. Be proactive, and decide what you’ll do when you feel stress or have an urge to smoke. One of our clients had to change her entire morning routine to avoid sharp cravings. She literally had to sit in a different chair in her living room after waking up because her routine included sitting in a particular chair, turning on the TV, and lighting up. You may be tempted to use e-cigarettes to quit. Don’t do it. You still inhale nicotine and feed the addiction. Eventually, you’ll go back to smoking when vaping doesn’t give you the “hit” you felt with cigarettes. When you vape, you inhale toxins into your lungs, including carcinogens and nanoparticles, which can trigger inflammation. Your lungs and heart are still at risk with vaping. No concrete data proves that vaping is safe. If you choose to use nicotine replacement therapy (NRT), you expect to gradually wean from it, and eventually you’ll stop using nicotine altogether. That’s the goal of stopping smoking: to lose the addiction to nicotine, not to find a different way to use it. If you would like to discuss the dangers of vaping, or you’d like help to quit smoking, please contact us and set up a consultation.